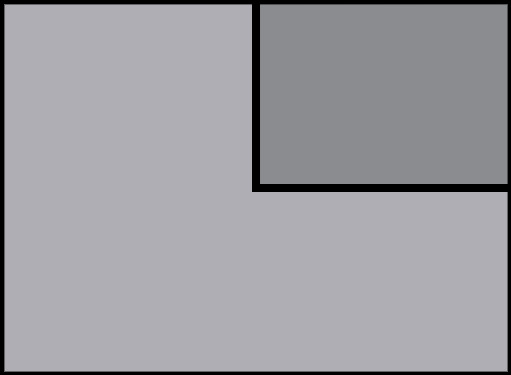 Morgan (Lennie James) finds himself reunited with Al (Maggie Grace) and June (Jenna Elfman), and now they’ve gotten to meet his new “frenemies” Jim (Aaron Stanford), Wendell (Daryl Mitchell), and Sarah (Mo Collins). 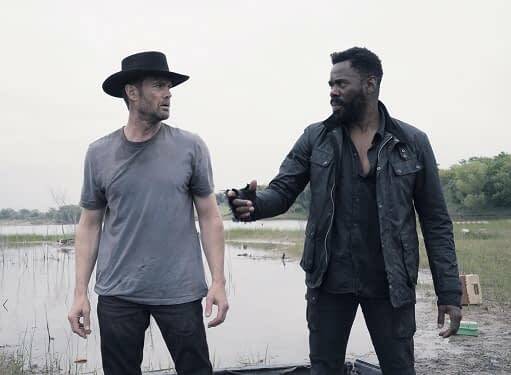 Now it’s off to pick up John Dorie (Garret Dillahunt), Strand (Colman Domingo), and the others before making their way to The Walking Dead‘s Alexandria-Hilltop-Sanctuary community. 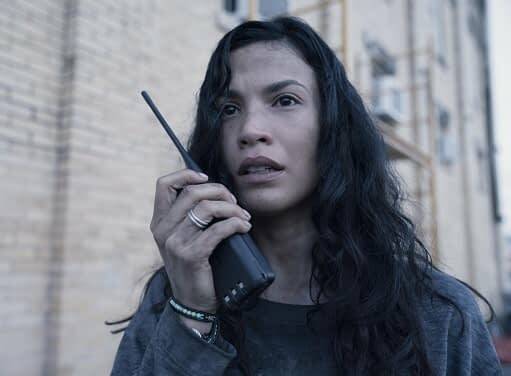 Except…Strand and Dorie have found themselves a bit stuck at the moment, while Luciana (Danay Garcia) struggles to help another survivor – and then there’s Tonya Pinkins‘ mysterious stranger, who looks ready to end their journey before its even begun. 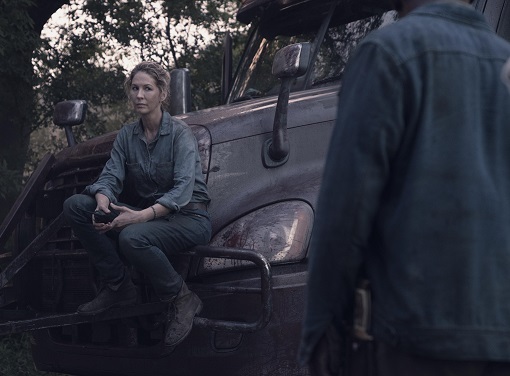 Fear the Walking Dead s04e13 ‘Blackjack’: Strand and Dorie are marooned; Luciana aids a man in need; the group’s efforts to help a stranger put everyone in danger. Fear the Walking Dead is executive produced by Scott M. Gimple, showrunners Andrew Chambliss and Ian Goldberg, as well as Robert Kirkman, David Alpert, Gale Anne Hurd, and Greg Nicotero, and produced by AMC Studios. The series stars Lennie James, Alycia Debnam-Carey, Colman Domingo, Danay Garcia, Garret Dillahunt, Maggie Grace, Jenna Elfman, Alexa Nisenson, Mo Collins, Daryl Mitchell, Aaron Stanford, Tonya Pinkins, and Stephen Henderson.